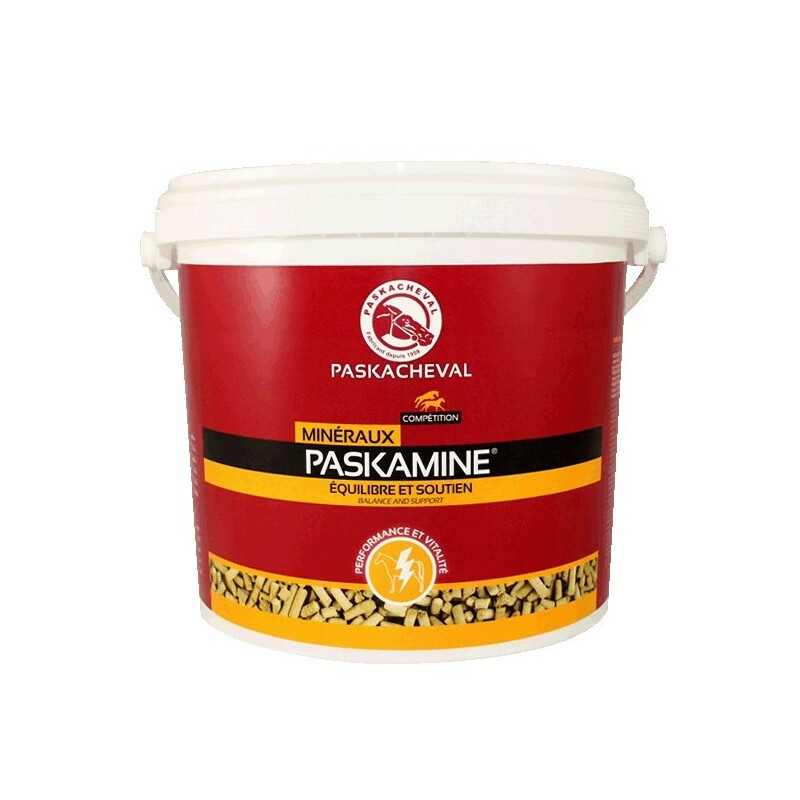 PASKACHEVAL - Mineral supplement 3 in 1 : cereals balancer, locomotion, antioxidants - 5, 10 or 25 kg. PASKAMINE provided best mineral and vitamins supplement for sport horses. It protects sport horse organism against free radicals thanks to antioxidants (E-C vitamins and selenium). The synergism between plants extracts and lipotropes (methionine and choline) helps to detoxify and protect the liver. As a consequence, recovery is easier. Plants extracts help with the locomotive system. Sport horses, especially those receiving high energy rations or rations rich in cereals. 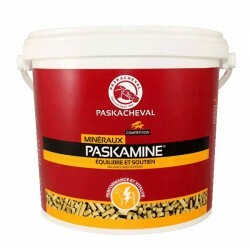 This daily supplement can be completed with PASKABOOSTER (when competing or hard training). Composition : Soya meal, calcium carbonate, bicalcic phosphate, dead yeasts, magnesium oxid, sodium chloride, vegetable extracts, DL methionine, cane syrup, green apple flavour. 100 g per horse and per day.